SEO is absolutely fundamental for your Digital Marketing success. It forms the building blocks for the rest of your digital marketing strategy develops. For many businesses operating in the online sphere, SEO is a marketing essential. 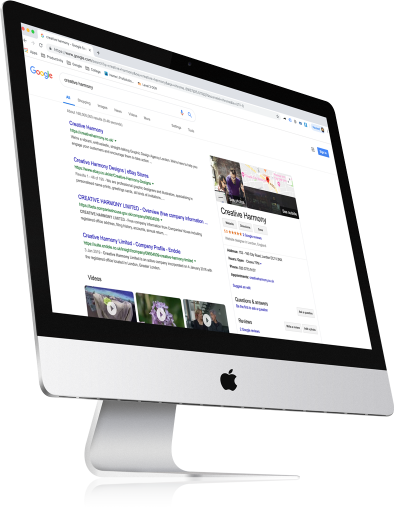 At Creative Harmony we specialise in SEO for accountants, developing and implementing effective strategies to improve our clients’ rankings in search results and positioning them as an authority within their sector. SEO, otherwise known as, search engine optimisation, is the practice of cultivating the rankings of a website in search engines like Yahoo, Bing, and of course Google. Achieving this requires a combined approach that including creating content, gaining high-quality links from trusted websites, and making technical updates to the client’s website. Typically, SEO is a long-term marketing practice. The benefits can often take up to 6 months to be seen. SEO is seen by most businesses as an online staple that is supplemented with display advertising or PPC. SEO is an extremely cost-effective type of online marketing over the long term. Any good SEO agency will start by undertaking an exhaustive audit of your accounting business’ website. This undertaking will explore in detail aspects such as the code, metadata, content, and link profile to create a clearer picture of the work that is required to improve your visibility in search engine results. This process forms the base of your future strategy. To enable search engines to effectively comprehend your business, it is vital to include suitable SEO keywords for accounting into your web copy. Relevant words and phrases can be included in your on-site content by specialist SEO copywriters. They achieve this without detracting from user experience and can also provide blog posts, articles, and more for use on third party sites. Local SEO focuses on increasing the visibility of your website in online searches undertaken by individuals using a pertinent location term in their search or who are in your region. It incorporates developing and managing a Google Local page, optimising content for location-based phrases and developing relationships with other local businesses. Many potential customers that are searching for a provider of professional services, such as an accountant, focus their search on the local area. If your accountancy business does not have a strong local visibility and presence, then easy wins and potential clients could be passing you by. You gain a competitive edge over other businesses by investing in effective SEO for your accounting business, and an even great edge over those firms who are not investing in SEO at all. It will aid in raising your profile in organic search results, therefore improving brand awareness. And, it also helps bring in pertinent traffic from a host of diverse search terms. Implementing an SEO strategy gives search engines – particularly Google – indications that your accountancy firm is an authority in its sector and is trusted by other websites. As a result, your business will begin to gain a higher position in the search results for the relevant keywords. This drives more visitors and consequently increases conversions. SEO is an extremely effective form of digital marketing, particularly when seen from a cost perspective. While it takes some time for the initial benefits to be seen, when considered as a long term element of your strategy, it’s more cost effective than display or print advertising, or PPC. Furthermore, it often produces a lower cost per lead and offers a better return on investment. It is an extremely competitive world and while your accounting firm may be able to get to grips with the basics of SEO, to ensure triumph, it’s worthwhile having the assistance of an agency. By its very nature SEO is time-consuming; it requires continued keyword research, ongoing technical improvements, sustained outreach to other associated personalities and businesses, and constant monitoring. Additionally, there are regular updates to search engine algorithms to contend with (Google potentially make 500-600 changes per year) keeping up to date with the latest changes and releases is imperative if you are to stay competitive. All this is taken care of when you employ a specialist agency for the development and implementation of SEO for accountants. This leaves your employees free to concentrate on their strengths. An experienced and effective SEO agency is one that works with you to help you achieve your business goals, provides support to your developers and marketers, finds new opportunities, suggests enhancements to your site and makes useful connections to other relevant sites. Why choose Creative Harmony for your accountancy SEO marketing? At Creative Harmony, we are experienced in providing SEO for accountants; we comprehend the industry and appreciate the roles of our clients within the industry. We offer a high-quality service that pays close attention to detail and works with our clients to achieve better visibility, engagement and conversion rates. We take pride in our ethical and approved techniques, as well as our ability and motivation to guarantee that all the latest best practices are adopted quickly. Prior to beginning the SEO strategy development process for your accountancy firm, we take the time to understand your business service and your target audience and learn what, if any, obstacles are affecting your current marketing processes. We’ll also assess and audit your website and that of your main competitors to understand where and how we can make lasting improvements. Finally, we will set agreed goals and create and implement a marketing strategy over 6-12 months to achieve them. How will Creative Harmony measure SEO performance? To monitor your campaign’s success and learn from previous activity, we provide monthly analyse and reporting. 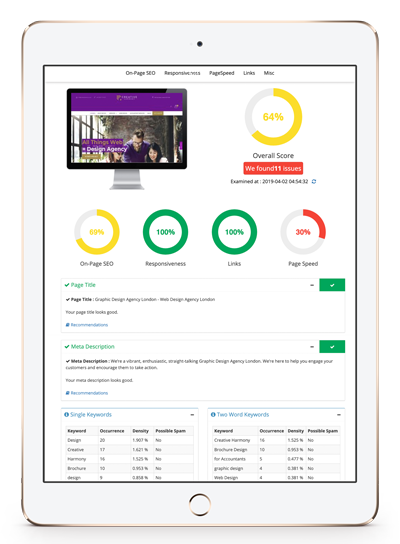 We provide you with a KPI report that clearly shows the progress of your key metrics. Using this we can determine seasonal trends and, where necessary, identify areas for improvement. 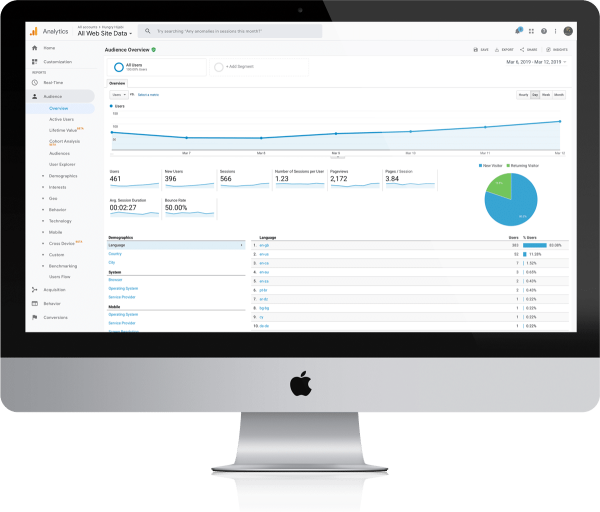 We can also report back to you in the positions of your keywords, however, we consider traffic and lead generation metrics to be of greater importance.